I use Aws-Lambda as serverless backend with API Gateway to create a Http endpoint . I am also using AWS Translate's real-time translations in order to translate spoken language transcript into 20 different languages in real time. Syncing subtitles with the stream is the hardest thing i ran into but i explained it below how i solved it. There is 1 technical and 1 general accomplishment that i'm proud of. Technical one is : Normally real-time translations requires at least 4-5 seconds in order to understand speech , converts to text and translates into different languages . 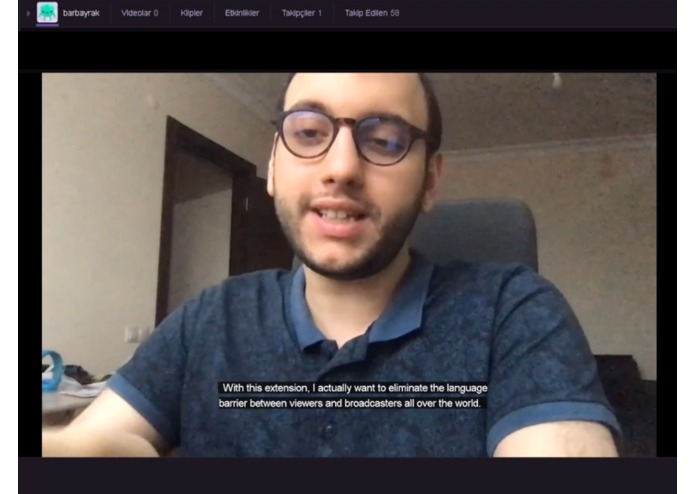 However there is also a delay for live streams so i use that delay as cover for required time for subtitles .So at the end translations becomes almost synced with the stream General one is: I always want to watch Korean esports players and understand them.So with this extension it actually can happen so i am really proud of that.